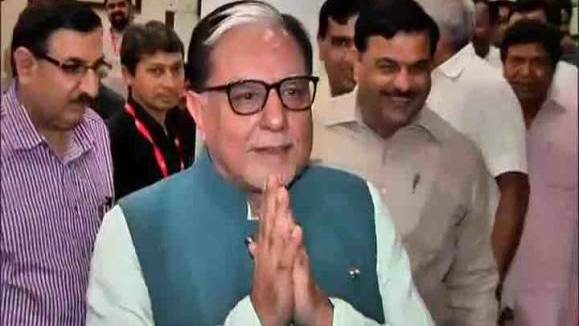 The unlikely victor: Zee's Subhash Chandra. With Zee Group shares being pummelled on the bourses as news of it being financially imperilled since it has exposure to various lenders, unable to service borrowings and had pledged shares at a promoter-level started doing the rounds, sources close to developments have now revealed that the Sangh (RSS) and top functionaries in the government have closed ranks behind Zee Group promoter Subhash Chandra. He will be given time to complete all financial commitments by executing the sale of his flagship Zee Entertainment, something that he has already announced so that all debtors are paid to minutiae. Chandra, a Rajya Sabha MP from Haryana, is politically connected with the present dispensation and his proximity to the top echelons of the RSS is also well known and documented. It is believed that he has found succour and solace with the Sangh which believes that Zee Group is a national asset with operations spread across the globe. As a national asset, a position has been taken by the Sangh to ring-fence it. For a few days last week there was a run on Zee Group shares but lately the bloodletting has subsided. On Wednesday, with a rising tide lifting more or less all boats – Zee Group frontliners – Zee Entertainment closed at Rs 388.95, up Rs 23.60, Dish TV closed at 27.95, up Rs 4.90 and Essel Propack closed at Rs 110.40, up Rs 2.30. Zee was first off the block when the broadcasting revolution took place in India, launching on Mahatma Gandhi’s birthday October 2, 1992. It now has 17 international feeds which cater to the diaspora and beyond across the world. Subhash Chandra, Chairman of ZEE and Essel Group, in an open letter last week said that certain “negative forces” attacked the stock of Zee Entertainment to sabotage the company’s strategic sale process. Furthermore, targeting certain pressure groups out to undermine him, he added that “I am extremely certain that there is no promoter in India Inc, who has dared to sell the jewel of his crown, to pay off the liabilities. The best time for the same, however, is difficult to be mentioned at this stage. Chandra in an earlier interview had revealed that he used to “regularly attend shakha (RSS meetings) from 6th to 10th standard”, where the “pracharak (RSS functionary)” would “narrate mythological stories which instilled patriotism in us”. Questioning “leaders and people discussing RSS” without attending shakhas, Chandra said that as someone who has been a “swayamsevak (RSS member) since childhood” he could affirm “that the ideology of RSS is of nationalism and of taking the nation to the pinnacle of glory”. Thanks to the time he’s spent in RSS shakhas, he declared “the natural feeling for the nation, pride and continuous desire to take it forward are the values I have imbibed in those days of childhood”. It is this sense of nationhood and nationalist pride that has won him many friends in the rightwing calculus and this may prevent his immediate failure from taking shape.